October 28-29, 2016 Book fair at Barnes & Noble. This is a great partnership with us. We create a presence at their Mesilla Valley Mall store – this time, on Halloween weekend, with readings, singing by our students, a costume contest, a science demo, crafts, and watercolor painting. Cheryl Graves, B&N’s Community Relations Manager, offers us the opportunity twice each year. It’s for literacy, for B&N, and for us, the Academy – we get a percentage of sales at the Mall location on those dates, and for online purchases from the Thursday before (27 Oct.) to the Thursday after (3 Nov.). 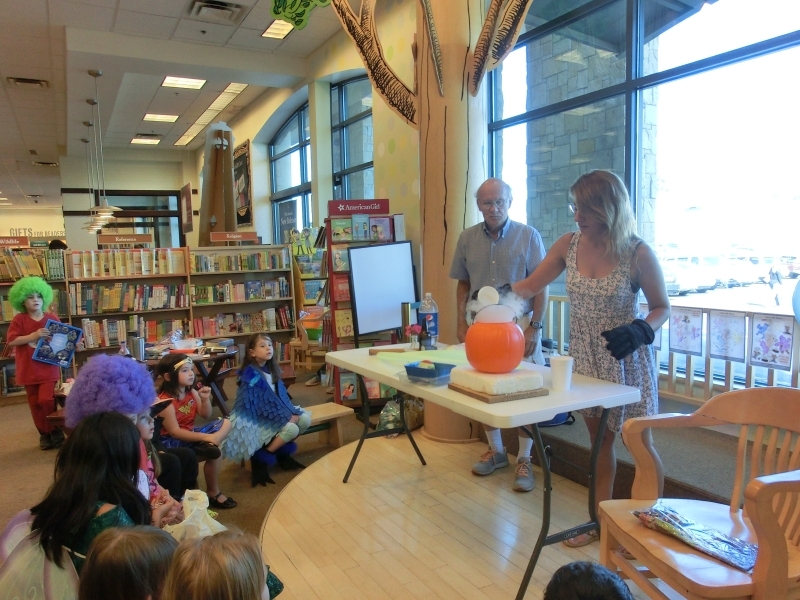 Here are some photos of the the science demo with liquid nitrogen and magnets. We’ll fill in more pictures taken by parents in a trice.